Step out of the city life by going to Alcatraz Island and Fishing Charters & Tours. The adventure continues: take in the views from Golden Gate Bridge, identify plant and animal life at Fort Funston National Park, take in the waterfront at Fisherman's Wharf, and see majestic marine mammals with a dolphin and whale watching tour. For ratings, where to stay, reviews, and tourist information, use the San Francisco trip planning app . If you are flying in from Switzerland, the closest major airports are San Francisco International Airport, Metropolitan Oakland International Airport and Norman Y. Mineta San Jose International Airport. July in San Francisco sees daily highs of 26°C and lows of 16°C at night. Wrap up your sightseeing on the 9th (Tue) early enough to drive to Yosemite National Park. Kick off your visit on the 9th (Tue): trek along Panorama Trail, explore the striking landscape at Glacier Point, and then don't miss a visit to Olmsted Point. On the next day, explore the striking landscape at El Capitan, then trek along Nevada Falls Loop, and then admire the sheer force of Yosemite Falls. 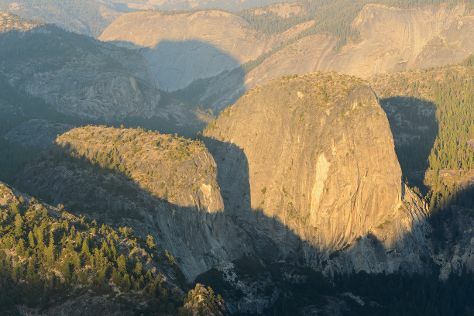 For maps, reviews, more things to do, and other tourist information, read our Yosemite National Park itinerary planner. Traveling by car from San Francisco to Yosemite National Park takes 4 hours. Alternatively, you can do a combination of flight and car; or do a combination of flight and bus. When traveling from San Francisco in July, plan for a bit warmer days in Yosemite National Park, with highs around 33°C, while nights are little chillier with lows around 9°C. Finish up your sightseeing early on the 10th (Wed) so you can travel to Joshua Tree National Park. Kick off your visit on the 11th (Thu): appreciate the views at Hidden Valley Nature Trail, make a trip to Cap Rock at Joshua Tree, and then explore the striking landscape at Keys View. On the 12th (Fri), you'll have a packed day of sightseeing: take in nature's colorful creations at Cholla Cactus Garden, take in the dramatic natural features at Skull Rock, and then identify plant and animal life at Barker Dam Trail. For maps, ratings, more things to do, and tourist information, read Joshua Tree National Park visit planner . Traveling by combination of bus, subway, flight, and car from Yosemite National Park to Joshua Tree National Park takes 12 hours. Alternatively, you can do a combination of bus and taxi; or do a combination of bus and car. Traveling from Yosemite National Park in July, expect nights in Joshua Tree National Park to be much hotter, around 30°C, while days are a bit warmer, around 46°C. Finish your sightseeing early on the 13th (Sat) so you can drive to Grand Canyon National Park. Kick off your visit on the 13th (Sat): take some stellar pictures from Mather Point, trek along South Kaibab Trail, then take in breathtaking views at Grand Canyon South Rim, and finally explore the stunning scenery at Yavapai Point. Keep things going the next day: get curious at Yavapai Geology Museum and then stroll through Rim Trail. To see other places to visit, where to stay, photos, and other tourist information, refer to the Grand Canyon National Park itinerary planner. You can drive from Joshua Tree National Park to Grand Canyon National Park in 6.5 hours. You'll lose 1 hour traveling from Joshua Tree National Park to Grand Canyon National Park due to the time zone difference. Expect a bit cooler weather when traveling from Joshua Tree National Park in July: highs in Grand Canyon National Park hover around 34°C, while lows dip to 13°C. Finish your sightseeing early on the 15th (Mon) so you can travel back home.